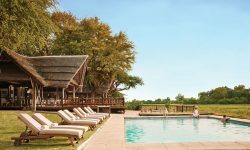 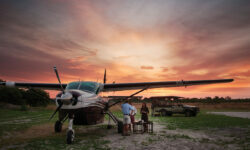 Belmond Khwai River Lodge is located on a private concession nestled on the edge of the leadwood and fig tree forest of the Khwai River floodplains, bordering the Moremi Wildlife Reserve which allows free movement of animals within the Delta according to the seasonal migrations. 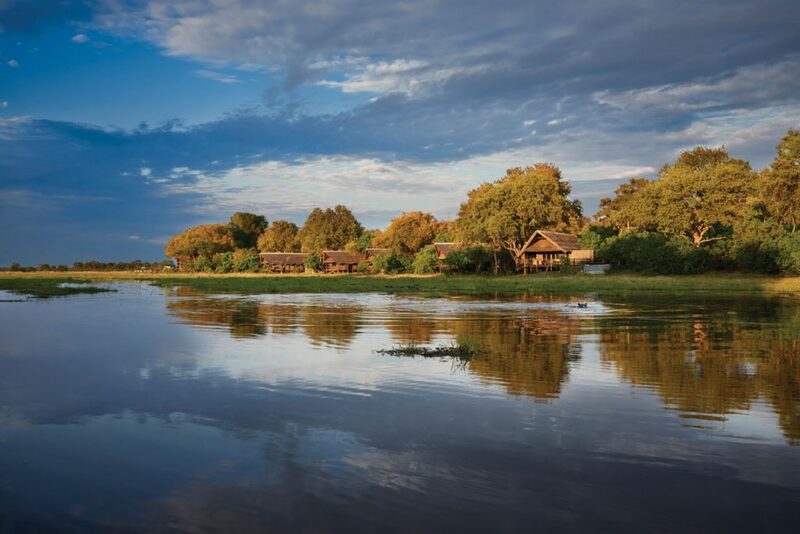 The Khwai River floodplains is known for its large concentrations of mammals and is a year round destination. 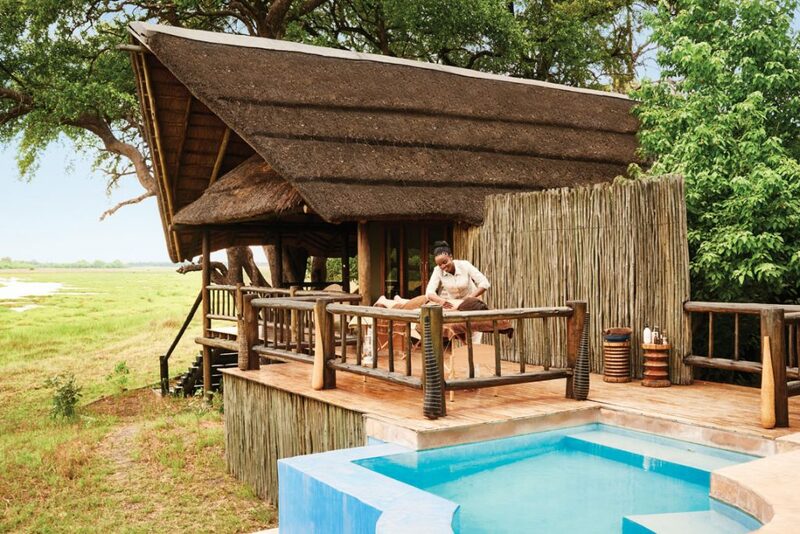 The Large 14 Luxury Tented Rooms housed on raised wooded platforms offer great views where guests can experience the best of the wilderness combined with the finer luxuries in life. 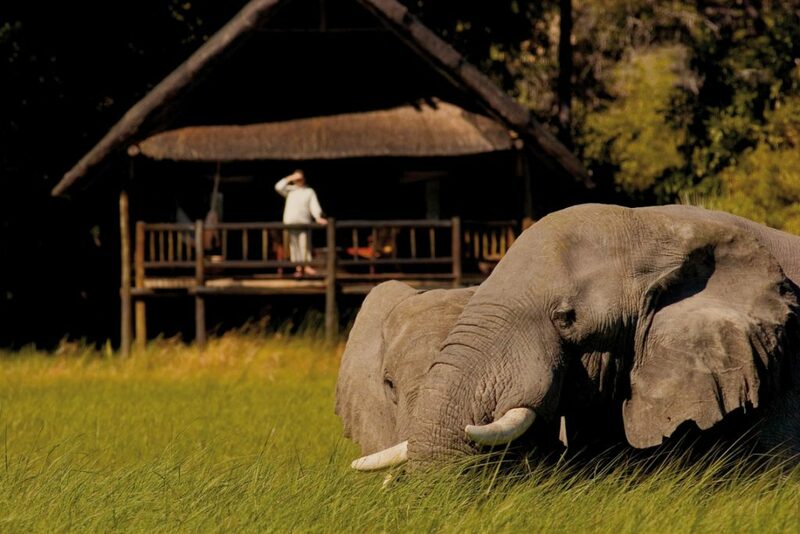 The large private decks are furnished with easy chairs and hummocks, ideal for wildlife viewing or enjoying private dinners. 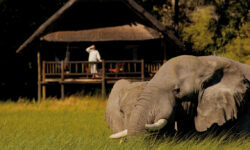 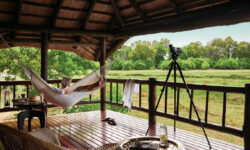 The interiors are luxurious with 4 poster beds, en-suite bathrooms and mosquito netting. 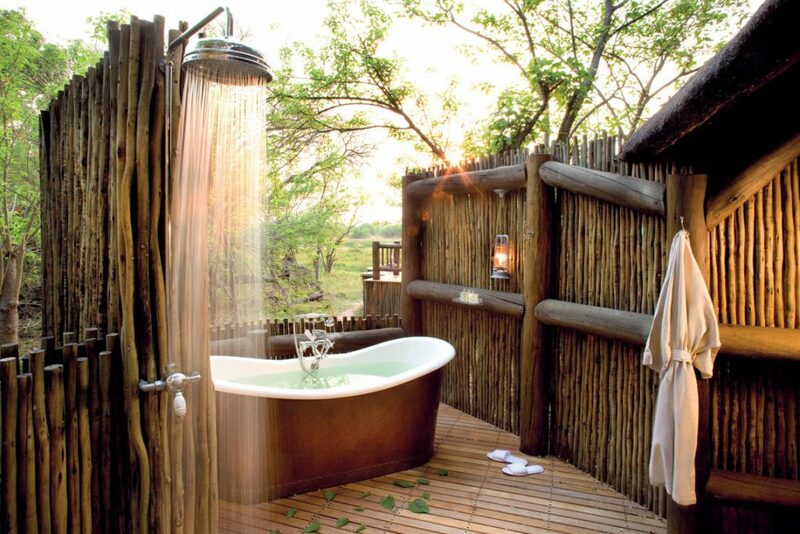 The Private Suite offers the ultimate in exclusive safari accommodation complete with a rim flow plunge pool as well as his and her outdoor shower.